Bloomberg just wrote an excellent piece on the Canadian real estate and mentioned about the story that I almost forgot about, Mr. Christie's Bakery. 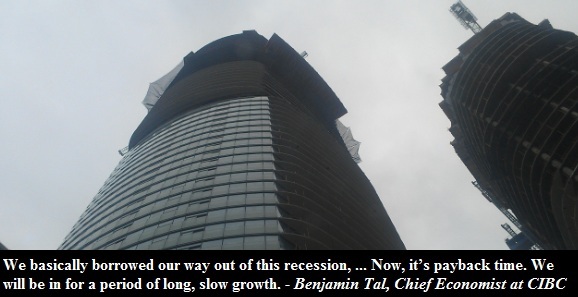 "Many of Canada’s construction workers have been toiling on Toronto’s condos. Lou Rivera wonders who will live in them. Rivera, 55, found out in November that property owner Mondelez Canada Inc.,"..." will close this year the Mr. Christie’s bakery where he has worked as a production mechanic for 14 years and sell the land. The factory, which employs 550 people to pump out animal crackers and other snacks, may be replaced with 27 condo towers, documents filed with the city’s planning board say. 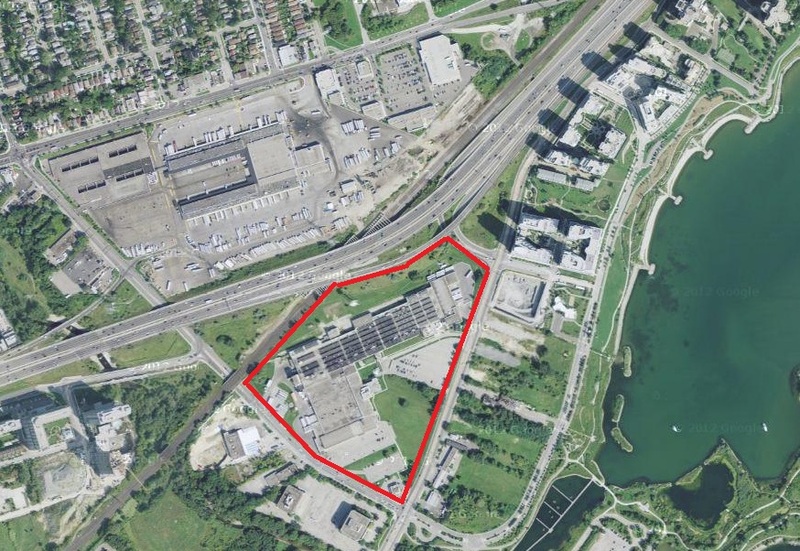 “What will happen, 550 people will be jobless,” Rivera says in the plant’s snow-covered parking lot, which already is hemmed in by new condo developments named Eau du Soleil and Ocean Club. Steve Hennessey, a sales representative for Right at Home Realty Inc., Canada’s largest independent real estate brokerage, predicts Toronto home prices will tumble 20 percent during the next two years. “We’re due for a big correction,” he says." In a way there is no shortage of land in Toronto, though soon there might be a shortage of jobs available in the city. If the price is right, companies like Mondelez Canada Inc. will abandon their profiting businesses for a one time mega profit. 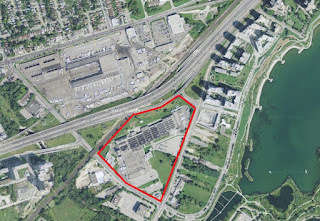 And to make that mega profit even larger, why not fit 27 condominium towers on a 27 acre lot next to the highway and a rail line?